Chilling Adventures of Sabrina actor CHANCE PERDOMO chats with us about how he gets ready for a role, playing a pansexual warlock, and his current favorite burger. English actor Chance Perdomo is a ball of energy. The charming 22-year-old thespian couldn’t keep still while he’s being photographed. His mood was obviously jovial because who wouldn’t be when you’re part of a popular series on Netflix. 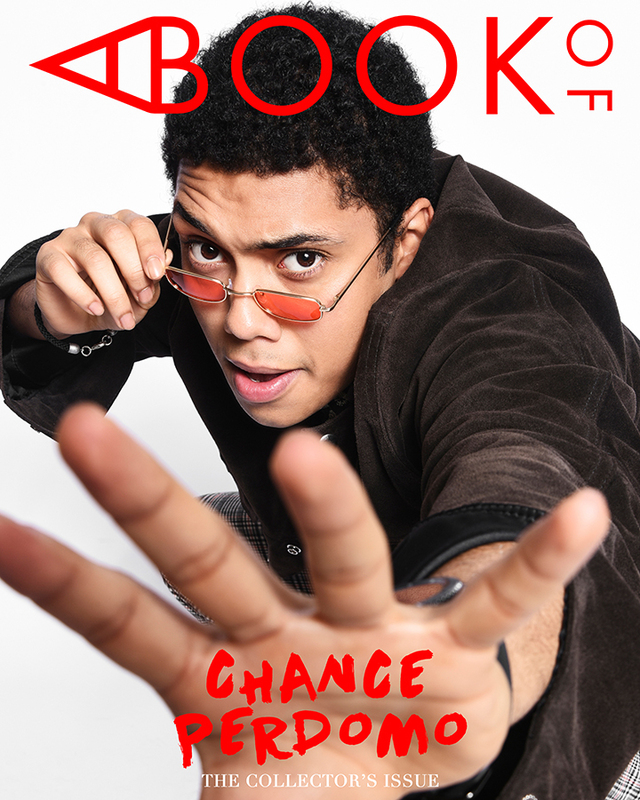 Chance plays a mischievous warlock named Ambrose Spellman on the Netflix Original Series the Chilling Adventures of Sabrina. Ambrose was not allowed to step out from their house as punishment for attempting to blow up the Vatican but eventually was given reprieve. His character on the show is also pansexual, a breakout role in which Chance is more than obliged to portray since he describes it as “a breath of fresh air.” Ambrose Spellman is a cousin of Sabrina who is half-witch and half-human portrayed by actress Kiernan Shipka. Chance grew up in England and was already taking up law when he decided to get into acting. He attended the Identity School of Acting in London and as what they say, the rest is history. He first auditioned for the role of Jughead Jones on CW’s Riverdale. Although he didn’t get the role, his audition with Riverdale’s showrunner Roberto Aguirre-Sacasa made an impact that he already had Chance in mind when they were developing Ambrose’s character for the Chilling Adventures of Sabrina. Read on as Chance tells us more about himself. I've always wanted to be two things in my life—to be on Barney and to be first black President of the United States. Obama beat me to that last one, right? But true story, I was three years old and I was like "mum, I want to be the president" and she was like "what do you know about that?" I had an imaginary friend who talked about politics, of all things. I didn't go on Barney but I became the next best thing, I became an actor. CONTINUE READING Chance’s full interview and story inside his Collector’s Solo Print Issue. A portion of the proceeds from his issue will go to Helen Keller International.